A clean minimalist style black and white free vertical business card template designed for corporate, individual or freelancers. 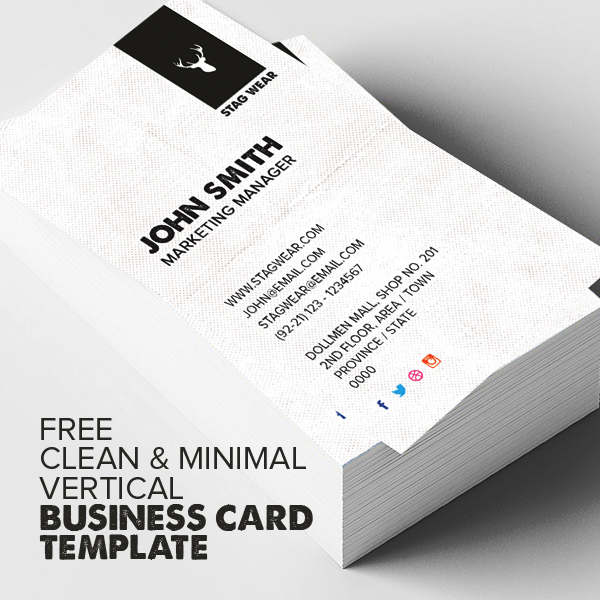 The business card template available in fully layered PSD files, fully customizable and editable, CMYK setting, 300 DPI high resolution, 3.5” x 2”, (2.25 x 3.75 with bleeds) Print Ready format, double sided. This freebie is available for commercial and personal use.